I immediately got a Dragon Ball z vibe, which was cool to me. So the hero is a guy named Saitama a self proclaimed hero for fun. He is an unemployed business type who was trying to find a job and he stumbled into a situation where he needed to be a hero and save a kids life who pulled a prank on a monster. 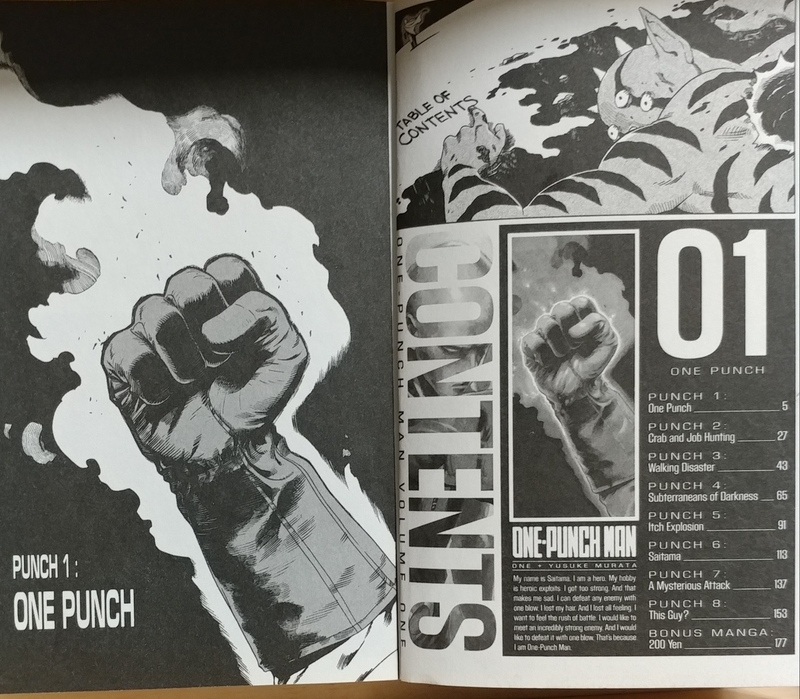 Then after a funny set of circumstances he became a hero and vowed to defeat his enemies with one punch.So the next 3 years he dedicated his life to training to do that very thing. So throughout this book he has different enemies to defeat and he is trying to fill a emotional hole in his life. That being said this book is quite humorous and imaginative.The art is pretty good and is the typical anime- manga style of art. 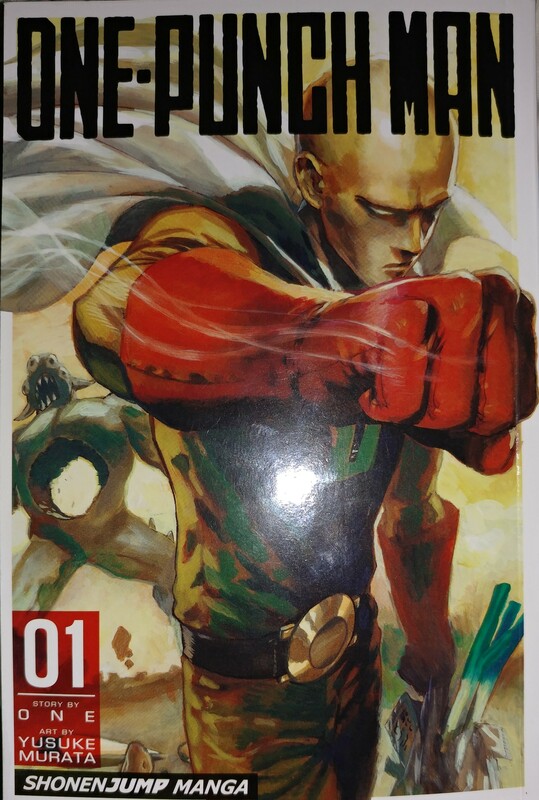 I have to say if you are fan of old-school manga and anime, or a comic book reader who wants to try something new give One-Punch Man a shot.